Two weeks after saying farewell to her first foster child, Casey is asked to look after Sophia, a troubled 12-year-old with a sad past. Sophia’s actions are disturbing and provocative and, before long, Casey and her family find themselves in a dark and dangerous situation, leading Casey to question whether she is really cut out for foster care. Two years ago Sophia’s mother fell ill. Sophia has been in care ever since. Right away, Casey feels something isn’t right. Sophia’s a well-developed girl, who looks more like 18 than 12. She only seems to have eyes and ears for men, and treats all women with contempt and disgust. And she has everyone around her jumping through hoops. 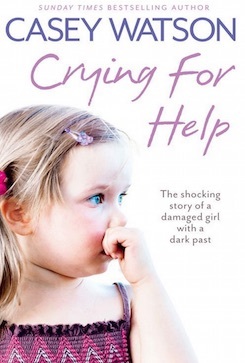 Over time, as more details begin to emerge about Sophia’s past, it becomes clear that her behaviour is a front for an early life filled with pain and suffering. But although Casey feels she is gradually breaking through to Sophia and getting her to open up about things she has never spoken about before, her violence is threatening the safety of the whole family, forcing Casey to question whether she can really handle this lost and damaged girl. Both shocking and inspiring, this true story will shed new light on the extreme and sometimes dangerous nature of foster care.